Rhian Brewster has been trying to take the positives from his recent frustrating spell on the sidelines by using all of his spare time to learn from the top-class strikers he hopes to emulate. The Liverpool youngster has been out of action since undergoing surgery on an ankle injury sustained in January, but hasn't been resting on his laurels during his rehabilitation period. Instead, he has been focused on improving himself by paying close attention to the likes of Reds colleague Roberto Firmino, who he hopes to challenge for a starting berth once back to full fitness. “I don’t switch off. I like to watch the games, and watch what I am missing. It makes me want to be out there even more,” the 17-year-old told Goal. “Being injured gives you the chance to reflect on the players who play in your position, too. You see things you can do, things you can maybe do better. It’s about doing everything you can to get to the top, so any little advantage you can take, you should do it. 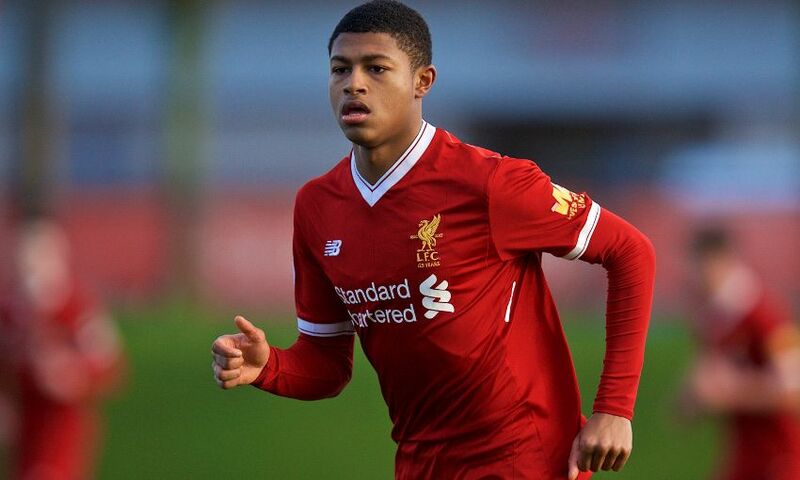 Brewster was in the midst of an outstanding season at U23 level prior to his injury, and had top scored for England as they won the U17 World Cup just three months earlier. As such, the teenager is even more determined to make an impression in Jürgen Klopp's first team once he is ready to return. “You have to stamp your mark,” he added. “You have to get the chance and you have to take it. “My hope now is to be playing regular football, so I can play at the highest level for club and country. The next World Cup or even the next Euros, I want to be in with a shot of being picked. That’s what I strive for, to be the best I can be, to hopefully give me the best opportunity to get there.